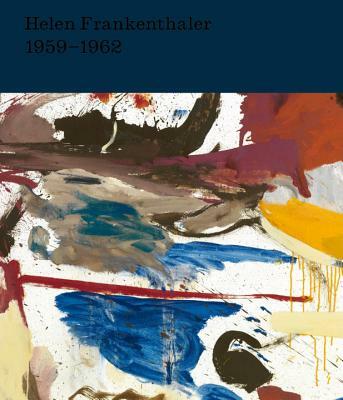 This striking new book features fourteen paintings and two works on paper by renowned American abstract painter Helen Frankenthaler. Showcasing fourteen of Helen Frankenthaler’s paintings, dating from 1959 through 1962, and two earlier works on paper, this beautiful book highlights a radical and lesser-known body of works unique within the artist’s oeuvre. The book includes color plates of all sixteen works, as well as four single-page and seven double-page spread details. Never before and rarely published documentary photographs appear throughout the book, along with a new and insightful text by John Elderfield. This book accompanies the 2017 exhibition of Frankenthaler’s work at Gagosian Paris. John Elderfield, chief curator emeritus of painting and sculpture at the Museum of Modern Art, and Allen R. Adler, class of 1967, Distinguished Curator and Lecturer at the Princeton University Art Museum, joined Gagosian five years ago as a consultant for special exhibitions. At Gagosian, he has championed the work of Helen Frankenthaler, and organized the major exhibition In the Studios: Paintings (2015). He has written over twenty-five books and nearly a hundred scholarly articles.